Trevor Clement :: The Reality of life can sometimes be complex, but from time to time extraordinary people come and they completely reshape the narrative about a perception or prejudice people hold against other humans. Globally, there seem to be younger generation of people driving change and may appear that Africans are not left out. These crop of individuals are clearly different from their fathers and mothers who due to ignorance or intentionally turned their back against a progressive future or they were too scared to act on the inconvenient truth solely for a few pocket money often bath in greed. Somehow, few Africans among this generation are rewriting the ugly narrative painted by those that came before them. 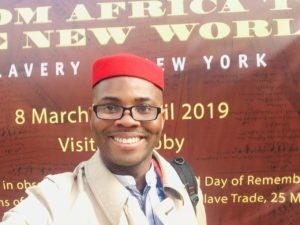 One of the extraordinary change-marker is Dr. Gbujie Daniel Chidubem, named last year in the top 5 leading CEO of environmental startup Organization of African descent in the whole of America, a quote supported by the Conservative Mom, an International media outfit based in Florida USA. This led to him being featured in their July Magazine Edition in 2018, as a global role models, inspiring a new generation of global citizens to take on various global challenges especially global warming. The organization raises awareness about the climate crisis and how it impacts heavily on the vulnerable target population namely the girl-child, pregnant women, elderly women/men and physically challenged. Gbujie’s Journey truly kicked-off, after a chance meeting with the Ex-Vice President of United State of America Mr. Al Gore at a Leadership training in the State of Colorado USA in March 2017. The encounter inspired him to become an environmental advocate, believing that the only chance of redemption for man rest on mobilizing citizens together and getting them to act responsibly towards Mother Nature by actively protecting and preserving our shared collective natural resources. his climate platform which has attracted 208,000 members and supporters from over 169 nations. Africa plus a likely half-a-million tree to be planted by the end of 2019. Gbujie has taken the entire world by surprise with his army of dedicated earth warriors. As 2019 began, he was confirmed last month as one the recipient of the “ Global Youth Leadership Award 2019” organized by the Global Youth Parliament Supported by the Nepalese Government. contributions in the area of climate advocacy and for being a positive inspiration to youth across the globe. Mr. Diwaka Aryal, the lead coordinator of the event said that Global Youth Parliament (GYP) decision to confirm, Gbujie was done after a vigorous research was done by the GYP Selection Committee who selected him for the environmental category. All Awardees will be honored by the Prime Minister of Nepal, His Excellency Khadga Prasad Oli. He has extensively reached out to other bigger global environmental groups like Parvati.org, AfricaClimateReality.co.za, LetsDoItWorld.org and Umuntu.ch, collaborating with them with remarkable results. from fossil-fuel dependent economy to cleaner, renewable energy sources is the way forward. affected, can truly create the sustainable development mankind desperately needs. Only then can the actual climate resilience make the biggest difference”, he said. Gbujie who is indeed proud of his Igbo heritage represents the best of what we all can be or should aspire to be. obscurity, Nigerians still have great minds on the face of the earth and Gbujie is obviously one of them. Trevor Clement is a seasoned environmental journalist based in Tanzania.